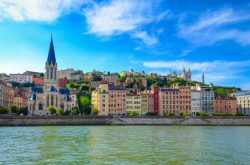 The 2017 results of the Lyon real estate market reinforce the region’s industrial dynamic. For the city to pursue its economic development and international influence, 9 real estate projects will be inaugurated to accommodate new companies looking to set up in the city. The building, formerly occupied by the regional division of the SNCF, located in the heart of the Presqu’île (city centre), near the Perrache multimodal transport hub, will be renovated and re-designed. It will offer a modern living and professional environment. The architect behind the project is ARCHIGROUP. The loges de Saône project in the Confluence district combines architecture, environment and techniques to offer a new living and working area adapted to a modern lifestyle. The real estate developer behind this project, Fontanel, will adhere strictly to RT 2012 environmental standards. Xanadu Architects et Urbanistes are behind the design of the Oxaya project in Gerland. The new building, to be constructed by Icade Promotion, will be certified by the “NF Commercial Buildings – HQE® Standard”. Oxaya will offer several large functional and bright office spaces in March 2018. 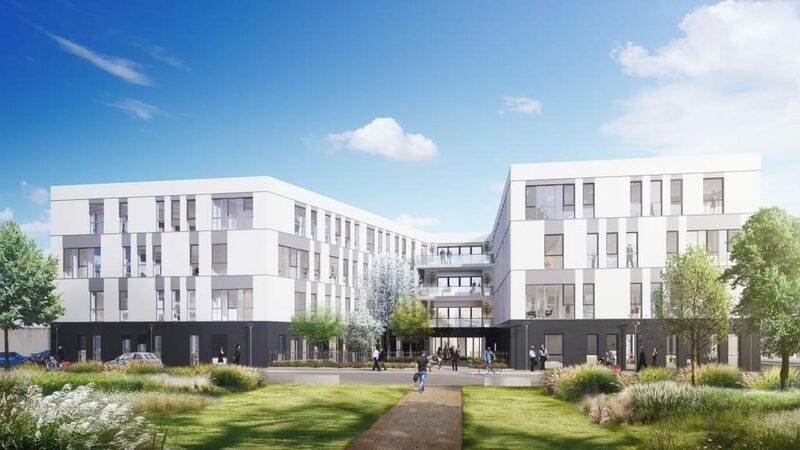 The developer, Résidences Prestige, and the agency Architectes Associés are behind the ‘ Le Rephael’ project, which is part of a non-built space encircled by built plots in Part-Dieu, near the shopping centre. The Sky 56 project comprises 14-storeys, 12 of which are offices. 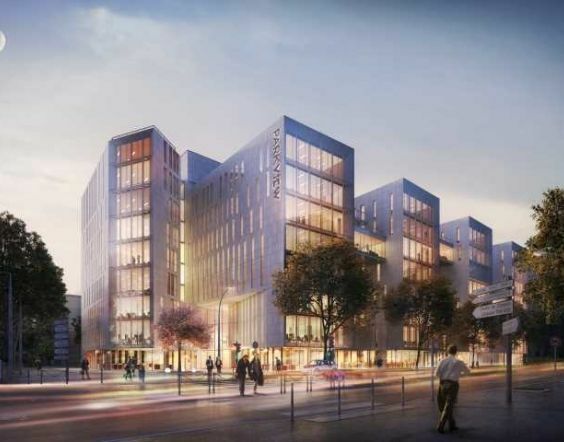 Each floor will accommodate 200 employees in adaptable workspaces. In addition, the building will offer 4 terraces with breath-taking views of the city, and represents a new quality of work at Part-Dieu, confirmed by the “Well” label. The architectural firm AFAA Architecture, in collaboration with the project owner Groupe CARDINAL, is responsible for the Organdi project: 2 independent commercial buildings connected by open and closed footbridges. The project obtained the double certification NF Commercial buildings HQE and BREEAM “Very good”. Park View is a real estate project in Villeurbanne consisting of 2 office buildings with a total of 8 floors. 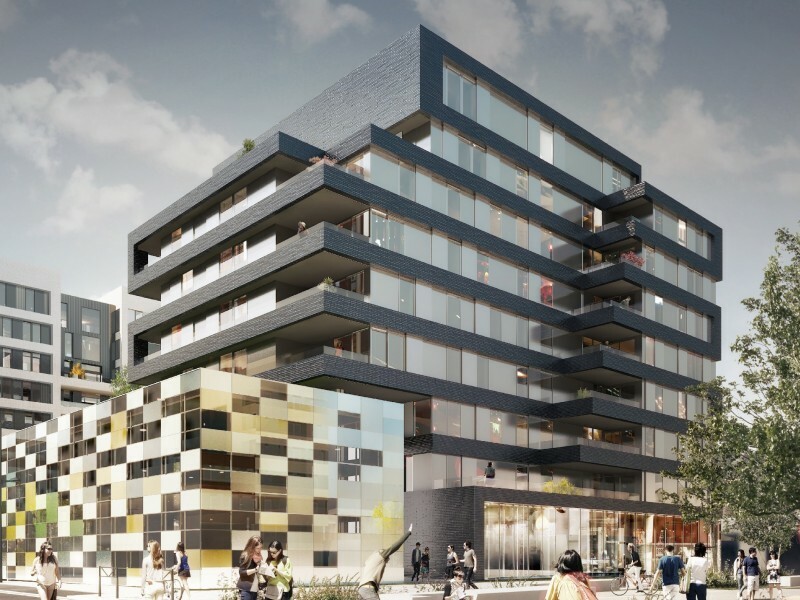 The project is ideally located as it provides quick access to Part-Dieu station and Tête d’Or Park. It is aiming for a double environmental certification (BREEAM and HQE). Wooden terraces with green areas will be created to provide an ideal working environment.